Chapter Eight: Not Living in the ‘Condo’s’ Anymore! Note: Due to the fact that this chapter has almost 40 verses, this study will be presented in two, or three parts. So let us begin our study! After such a long treatise on the sinfulness of humanity and the irrevocable slavery in such, this chapter comes as a strong, invigorating gust of refreshing air! When I first came to the realization that because of what the LORD Jesus accomplished on the cross, I am no longer condemned by a Holy God for my unholy sins and transgressions, it was a joy beyond compare, as well as a blessed, steadfast and sure hope! Such is possible for the people of this world, if only they would repent and turn their lives over to the LORD of Glory, Who is also the Savior and Shepherd of our souls! The condemnation of the holy Law of God would have sealed the sentence upon us sinful souls, but such no longer applies to those of us who “are in Christ Jesus” . . . and how does one know whether or not one is actually in Christ? The latter half of this verse indicates this: “who walk not after the flesh, but after the Spirit”. This is not to say that by walking in the Spirit, that this results in no condemnation, but rather it’s because we are not condemned, but saved by grace, born of God’s Spirit (regenerated, born again, etc.) that we are now enabled to walk in the Spirit. The very word ‘walk’ in the Greek is defined as “walking as in the demonstration to the ability of doing so”. Of course “to walk” in a biblical sense refers to what we might call ‘the walk of life’. Our very lives demonstrate where we are coming from; those who walk after the Spirit are those born of the Spirit (of God); those who walk after the flesh are those born of the flesh (fallen humanity). See also JOHN 3:5-7; ISAIAH 42:5; EZEK 36:27; GAL 5:16-26. It’s important to note that this verse which states that those who walk AFTER the Spirit, do not walk (live) perfectly and never, ever sin again; even grown adults who have been walking all of their lives, can occasionally stumble and fall (something we did repeatedly as toddlers until we mastered the ability to walk). Likewise we Christians can fall occasionally into sin, but then it’s vital to confess and repent from such sin, get ‘washed in the blood’ as the old hymns would say, and be restored to fellowship with our heavenly Father. This is what’s been called ‘keeping short accounts with God’, and this is vital for if we don’t maintain this sort of conduct, the enemy would bludgeon us with guilt and condemnation for sinning ‘yet AGAIN’ in any particular area, and he will do everything he can to keep us ‘living in the condo’s’ instead of coming Home to our Abba! Consider the prodigal son and how he was greeted by his own father when once sin had done its work and left the young man bereft of both possessions and (seemingly) position – though the latter was not the case at all as he didn’t lose his ‘sonship’: only blessed time of fellowship with his father (LUKE 15:11-32). “The law of the Spirit of life in Christ Jesus…” We are seeing a lot of mention of “law” in these passages: the Law of Moses, the law of sin, the law of faith, etc. Moreover the Spirit works in the yielded believer the very righteousness which Moses' law requires ROMANS 8:2,4.”There is a lot of talk today, and apparently with increasingly substantial evidence regarding the loss of our freedoms here in America today; yet as alarming and disconcerting as this is, may we recognize and express our thanks to God for the freedom that we have in Christ Jesus and the law of the Spirit! These are irrevocable, non-negotiable and totally accessible to the child of God. True, our bodies will know of sin, and its resulting ruination that eventually leads to death, but even here, the Scriptures state that for the saints, such is merely “sleep” (1 COR 15:18-20); that is, sleep from which they will one Day be awakened! It is of the greatest comfort and strength to know that no matter what transpires in these last days, no matter how dire and tragic things may become, the ultimate destiny for us saints is total and absolute freedom and victory in the eternal life freely granted to us by our precious LORD Jesus Christ that is also mentioned in vs. 21 (ISAIAH 61:1-2a; JOHN 8:32; 2 COR 3:17 and remember the warning to not abuse such freedom as found in GAL 5:13)! We do well to meditate on this enormous victory we share in the LORD during these darkening days! Commenting on vs. 3, I find it interesting that Thomas Edison was reportedly diligent in finding the right sort of filament that would work to bring illumination to his new invention: the light bulb. It seemed that when he ran electricity through various materials, they would burn out! That is, until he found the right sort of filament, that could endure the power, and by it, bring forth light. The flaw was not in the electricity, but in the many failed (over 300!) filaments! It’s very much like that with us! The holy Law of God is good, and holy and righteous: there is absolutely nothing wrong with it in the least! However, to attempt to infuse such holy power through fallen man would not bring the Light of the LORD, nor illuminate our darkened minds with the truth and grace of our LORD! It would only serve in our destructive incineration! Just as electricity was weak in the inappropriate filaments in Edison’s laboratory, so too was the Law of God weak in the inappropriateness of our flesh – so the LORD Jesus Christ came, and for sin and it’s curse was condemned in His flesh, bearing the destructive power of it all as well as the holy judgment of God. In exchange, He gave us His righteousness, which according to the Law was a perfect righteousness, and because of this, we have ‘the right stuff’ that can be infused by the power of God without it destroying us, but rather enabling us to live in the Light of the LORD and become brilliant beacons of blessings to those still lost in the darkness (PHIL 2:15)! With ‘the right stuff’ that is the Holy Spirit and all the virtues a.k.a. fruit (GAL 5:22-23), we Christians can live (albeit not perfectly, but progressively better into spiritual maturity) that which was intended by the ‘spirit of the Law’ which God delivered to Moses. Please understand, that it’s not my intention to encourage any one to live by the Law (there are over 600 of them in the Old Testament!) instead of by grace, but rather simply to understand that by the grace of God and the Spirit Who inhabits us and was afforded to us by Christ Jesus and His Sacrifice at Calvary, that we can live righteous lives that reflect the purity and holiness as represented in the Law of God! As the above verse indicates, those who walk “after the Spirit” may indeed fulfill the “righteousness of the Law”! For more verses on the believer’s walk, see the following: ROM 6:4; 2 COR 5:7; EPH 4:1; 5:2,15; 1 JOHN 1:7; 2:6; 2 JOHN 1:4; 3 JOHN 1:3; also GEN 17:1; 1 KINGS 2:4; 2 KINGS 20:3; PSALM 26:3; 56:13; 86:11. A squirrel is mindful about gathering nuts; moles are mindful about tunneling; birds about building nests, and bees about nectar. Each of God’s creatures has a distinct nature that drives them to pursue various activities and conduct. The fallen creatures that represent humanity have been deformed from God’s intention and because of this depraved nature, we too are driven to pursue various activities and conduct: that is, the animal appetites of basic and legitimate needs such as air, food and water (but these become illegitimate when esteemed higher than our supreme need for God Himself and His will in our lives) but also of sinful desires, pleasures and activities expressly forbidden by God. Much as I disagree with his premise and overall philosophy as a Satanist, there is a small measure of truth in what he said; it would be unnatural for a sinner to not sin, since a sinful nature is what he possesses! Those “of the flesh” will and do “mind the things of the flesh” that is, the things of this world and the kingdom of darkness, rather than the things of God and His kingdom. That is why a new nature must be instilled in us, so that once conceived, we begin to grow in our interests, desires and drives – the things of the Spirit of God. The carnal mind, the thoughts and intentions of one who is a sinner, is adversarial to the thoughts and intentions of God; they are not merely slightly at variance to one another, but diametrically opposed, and if such a mind is left unchecked and left to its own devices, what is the end result? Ultimately, it’s that which is found in vs. 6 of this text: death. Yet this is not speaking solely of physical death, but spiritual death, and all that this entails. You can’t change the nature of a pig; oh, you could put floppy doggy ears on it, teach it to bark, bury bones and chase cats with a lot of training, but you have only reformed its appearance; you’ve done nothing to transform the nature of that beast! It’s still a pig dressed up in doggie duds! “Because the carnal mind is enmity against God: for it is not subject to the law of God, neither indeed can be. So then they that are in the flesh cannot please God.”So much for religion then, huh? Sometimes when a stranger sees me reading my Bible (usually on the city buses), they will ask me, “Are you religious?” Admittedly I’m a bit mischievous when I say that “I am entirely opposed to religion in all its forms. No, I’m just a Christian.” The response is typically an expression of confusion. Christianity is not about religion; Christianity is about Christ, and specifically on a personal level . . .
We are saved by the LORD Jesus from sin, death and hell and then become like Him through the transforming, sanctifying power of His indwelling Spirit (ROM 12:1-2, 5; 2 TIM 2:20-22). This is why the subject matter of chapter Eight is designated as sanctification; it deals with the power (“law”) of the Spirit by which we may be delivered from the power (“law”) of sin [and carnality]. This power of sanctification is not effective unless the Spirit resides within the individual, and He cannot take up residence unless that person has repented, received salvation, and thus has been made hospitable for the Holy Spirit. Please note the number of times in this chapter where the indwelling Spirit is mentioned: in verses 9, 10 (“Christ”), and 11 (mentioned twice). True biblical Christianity is not a religion; it is the expression, manifestation, power and reality of spiritual life that emanates from the very person of Jesus of Nazareth, the Messiah of Israel and the Head and LORD of the church in the very person who is a genuine, born again Christian. Religion declares “you must do!” but the Bible (and subsequently, Christian doctrine) states what Christ said: “It is done!” – at the cross of Calvary. I like to refer to religion as ‘artificial righteousness’ because it most certainly is man made, and of no worth whatever. The righteousness that Christ offers through His propitiation is the genuine article, but a cheap ‘knock off’ imitation produced in religion and the useless sweat and effort of the religious practitioner. Biblical or Not? Truth or Philosophy? There is much disparagement among some teachers and leaders within the ranks of Christendom of the indwelling of the believer by Christ Jesus. Some take exception to the idea that one must “receive” Christ Jesus as LORD because they emphasize the truth that Jesus is LORD of all; yet being LORD, He is not Savior of all – and unless one receives Christ for salvation, that person does not and can not experience Jesus as what’s been commonly known as one’s “personal LORD and Savior” (See JOHN 1:12; 14:20; 17:23; COL 1:27; 2:6; also ROM 8:10-11; GAL 2:20; EPH 3:17-19; 1 JOHN 3:24). True biblical Christianity is not a philosophy, yet among the liberal and Emergent (so-called) ‘Christians’, Christianity is nothing more than that: a moral philosophy which any adherent who gives intellectual assent to the person of Jesus may follow by their own fortitude and intention, perhaps in some abstract way with Divine inspiration. Yet the Scripture is emphatic here in this passage: “if any [one has] not the Spirit of Christ, HE IS NONE OF HIS” (emphasis mine)! I also referred to ROMANS 8:9, the text before us. True biblical Christianity is not New Age mysticism and esotericism that would have us believe that the ‘Christ Spirit’ or ‘Christ Consciousness’ resides in every one simply because all living are supposedly ‘in Christ’. Yet if such was the case, the death of Jesus on the cross would have been unnecessary because we would have no sin that required such a substitute; nor would there be a need for us to be born again, just as the LORD Jesus mandated, if His Spirit were already in residence in every person, but there are those that are "none of His". There is no ‘higher’ esoterically significance and meaning or (secret) teaching of Jesus Christ which notion is quite popular among New Age adherents, particularly those of the Gnostic persuasion. One has only to open to the Gospels to read His Words and teachings, or the Bible in general to read what He inspired others to speak and teach as His holy prophets and apostles. While Christ Jesus indeed indwells the believer and as a result, we have spiritual life that endures eternally (for the Spirit of Life Himself is eternal in quality and character), our bodies no less than those unregenerate and who are not indwelt by the Spirit of Life, are corrupt and susceptible to weaknesses toward sin, sickness and suffering and death. The body is dead in a two fold manner: dead in that because of sin, it must pay the wages in death (ROMANS 6:23a); but also dead as we reckon it to be so, by the Cross of Christ and our identification with it and Him (ROM 6:3–11). Our bodies are indeed mortal and corrupted, but one day when the LORD returns, these corruptible, mortal bodies shall be transformed and received up (“caught up” or harpazo in the Greek, as in 1 THESS 4:17) into heaven where we shall possess forever, bodies that are immortal and incorruptible; see 1 COR 15:50–55. Therefore, brethren, we are debtors, not to the flesh, to live after the flesh. Our debt is one that we can never repay, any more than we could repay the debt of our own sin and sinfulness; the debt inferred to here however is that which is owed to Christ Jesus and His salvation which He purchased with His own blood, and by such purchasing our own souls and lives (1 COR 6:19–20). Some would suggest that vs. 13 is a proof text that one could lose one’s salvation, that if one lives “after the flesh”, that one “shall die”. We must remember to keep this verse within the context of the entire text of this section in the book of Romans; what chapter Eight here is dealing with is sanctification, not justification (which is salvation by grace in the forgiveness of sins and by such absolving us of its penalty. Sanctification deals with the eradication of the power of sin “through the Spirit” (mortification, vs. 13; ROM 13:14; COL 3:5; 1 PET 4:2) and the infilling of life (“ye shall live”) of the Spirit whereby we become more and more Christ-like in our nature (vivification)). In this context therefore, a believer, indwelt by the Spirit via being born again in Christ Jesus, who yet lives after the flesh, will reap from the flesh, corruption or death – that is, the fruit of such fleshly enterprises will not bring forth good fruit, but death in the way of bad fruit in the believer’s life and will not receive commendation from the LORD Who is seeking fruit of the Spirit in the lives of His children (See GAL 6:1–8; 5:16–25). It is important to recognize that this living “after the flesh” should never be considered the norm or acceptable; in fact, one who is forever living after the flesh, involved in the things of the flesh, has no assurance of salvation whatsoever (though it may be possible that they are), and if they bear no fruit at all (even if its just the “fruit of repentance” as in LUKE 3:18), it’s likely that they never were saved. 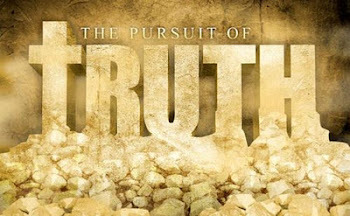 True faith will bring forth true works or fruit; so says JAMES 2:18–24 of his epistle. We are not to work for salvation, but from salvation – works do not develop salvation, but demonstrate it! The very fact that one is led of the Spirit, proves that one is a son of God (a term used to the exclusion of the only eternally begotten Son of God, Jesus Christ), of one directly created by God; such are all the angels (both holy and fallen) because angels do not (typically) procreate – each was directly created by God. Adam likewise was directly created by God and thus is called a “son of God”. JOHN 1:12 states that as many as believed on Christ were given the authority to become direct creations of God (sons or children of God). If one considers the life of another, whether or not they are truly a son of God, let them watch their life and see if they are led of the Spirit, and if they are so led . . .
Read the entire 2nd chapter of 1st JOHN to view in its entire context, particularly from vs. 3. Upon regeneration and indwelling of the Holy Spirit, the (now) saint perceives and relates to God not merely as Creator, but as Father or “Abba” a term of endearment from the child to the Father: or how we would say ‘Daddy’ Who does not condemn His children, but through the Person of Christ Jesus, commends them. As sons, our conduct and nature should be a mirror reflection of Jesus – obviously not a perfect reflection, but a reflection that resembles that of the LORD Jesus, one that grows with greater resemblance as the saint grows in their relationship with Him! Whereas Christ was the only eternally begotten of God, “true God from true God” as stated in various creeds, we are not so – we are adopted; while born of the Spirit, such was only possible by the Lamb of God and His sacrifice and subsequent offering of the Spirit and by this means we are brought into the family of God as the “brethren” of Jesus. (See ROM 5:8–11; JOHN 20:22; GAL 4:1–7 [this passage in Galatians relates to the proceeding passage in our text as well]; MATT 28:10 and HEB 2:11). And if children, then heirs (1); heirs of God, and joint-heirs with Christ; if so be that we suffer (2) with him, that we may be also glorified together. 1) See also GAL 3:29; TITUS 3:7; HEB 1:14; 6:17. 2) See also ACTS 5:41; 9:16; HEB 11:25; JAMES 5:10; 1 PET 2:20; 5:10. We have such a testimony regarding the authenticity of our spiritual nature as the children of God, as cannot be doubted: the very testimony of the Spirit of God Himself. Yet how is His testimony validated with observable facts? How does the testimony of the Holy Spirit manifest in our lives? Is it a warm, peaceful feeling? Is it through the exercise of spiritual gifts? Not according to this passage, it isn’t! As previously noted, it’s those who are led of the Spirit (and follow in the footsteps of our LORD Jesus, walking “even as He walked” and more than this – if we suffer with Him. The same word for “suffer” used here is used in 1 COR 12:26 where if one member of the body of Christ suffers, “the [whole] body suffers along with it”. The meaning of the word (sumpascho in the Greek) is to suffer conjointly or in identification of another, esp. in regards to persecution. Persecutions, afflictions, which came unto me at Antioch, at Iconium, at Lystra; what persecutions I endured: but out of them all the Lord delivered me. 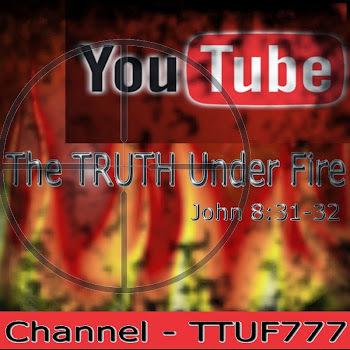 Here at The TRUTH Under FIRE we have a page for the Christian Persecution Alert (C.P.A.) where you can read about and pray for saints all across the world who are suffering persecution even as you read this. Yet it seems (at least for now) that here in America, we don’t suffer anything of this kind and with such intensity. However, even as this passage from 2nd Timothy states, “evil men and seducers shall [grow] worse and worse” and as such evil permeates and intensifies in our society, those few who will remain faithful to the LORD, who are led of the Spirit, who live godly in Christ Jesus will become the recipients of persecution. Remember, the light from a candle is brightest and most observable at the darkest time of night! Tell tale signs are rising up all around us, and a time of persecution for the American church may well become a reality for us. New Laws, A Change of Course, What Does It All Mean? Yet for all such potential ‘doom and gloom’ what should the saint do? Wring their hands and worry? Rally together with other believers and protest? Write to their representatives and demand justice and clarity? Our sister Anne gives a very poignant and vital answer in her article and I ‘AMEN’ her words: regardless of what may or may not happen, we need to be about the business of our heavenly Abba – preaching the Gospel, making disciples, earnestly praying and worshiping, contending for the faith and being a Light and testimony before a lost and dying world!And for such faithful service and any suffering that may accompany it, we shall receive glorification (vs. 17 in our text; also 2 TIM 2:11-12)! If any one knew about persecution, it was the apostle Paul; he presents on one particular occasion, a list of sufferings he endured for the LORD and the Gospel’s sake: 2 COR 11:23–27; and yet for all that, he counts it all as nothing more than a “light affliction”! He could consider such heinous torment as being whipped no less than five times, receiving thirty nine strokes each time; beaten three times with rods (most likely cudgels of hard wood), once stoned and left for dead and relentless endangerment as “light” because he knew that the reward for enduring such persecution would far exceed anything he suffered with an “exceeding and eternal weight of glory”! If you want to talk about glory, just consider vs. 17 again and the phrase “heirs of God and joint-heirs with Christ”! What incredible, unimaginable, incomprehensible glories await the saints in the universal church, from ages before to our present who are over-comers and victors in Christ?! It’s been said that the estate of the Rothschild family is estimated at approximately 44 trillion dollars! Could you imagine being born into such a family and being a recipient of that kind of wealth? Yet in the light of eternity, that family is nothing but paupers, utterly destitute and poverty stricken! For all their wealth and possessions, none of them will last forever, but certainly last longer than they will – the old sayings holds true: ‘you can’t take it with you’ and ‘you never see a hearse pulling a U-Haul’! 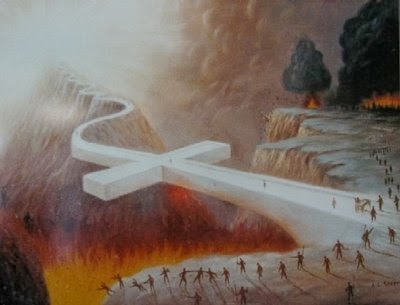 Our life here in this world is like a wisp of smoke that appears for a moment, and then is gone (JAMES 4:14)! For the saint, the true riches of Christ as bestowed upon by the Father are equally ours! And these are non-perishables: they shall endure for all eternity! What do these riches entail? Scripture isn’t very clear and I believe for good reason: our heavenly Abba loves to surprise His children! Of one thing I am certain: in 1 JOHN 3:2 it states that when we see Him, we shall be like Him – we shall share in all the virtues and character (not personalities, of which we shall retain our own, just as God created) of Christ Jesus to the highest and deepest degree. There can be no greater riches that these, wouldn’t you agree? We are to endure afflictions while we pursue the ministry that God has granted to each of us (2 TIM 4:5) – yes, we all have a God-ordained ministry and it is our privilege as well as responsibility to seek out God’s will in this matter and have Him reveal to us how He would have us serve Him in His church. Patience, that is, endurance is something that we as Christians must cultivate in our lives, in the midst of a ‘micro-wave society’ where everything is available instantly. God is in no hurry to instill in our lives spiritual maturity; such precious commodities are not ‘uploaded’ into our spirits in so many bytes, but grown by the precious seed of the Word, the watering of the Word, and the slow but sure and steady progress of growth. Such patience is vital as we await of the coming of the LORD during such time, we shall receive the glory of His kingdom and the inheritance spoken of earlier. See also ROM 5:3-4; 15:5; 2 COR 6:4; COL 1:11; 1 THESS 1:3-4; HEB 12:1-2; JAMES 1:3-4; 5:10-11. This “manifestation of the sons of God” will be realized once the LORD Jesus returns physically and meets us, His church “in the air” (1 THESS 4:16-17) and then revealed when once we return to this world with our LORD as He establishes His kingdom, the “kingdom of heaven”. It will be at this time that the LORD Jesus will begin His restorative work to the world: Israel will enjoy the kingdom blessings as delivered by the Messiah, Y’shua; the church will likewise be blessed in the rule and reign over all with Christ Jesus; the Earth itself, along with nature and the animal kingdom will be delivered from sin and restored to conditions similar to those before the fall of Adam. What tremendous joy and exultation will be experienced at that time yet to come! We will cover this topic in greater detail and complete our study of chapter Eight of Romans in the next installment of this teaching! Until then, may the LORD bless and keep you in His grace and peace!